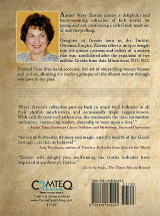 Mary Ziavras is the daughter of Greeks born in the Turkish Ottoman Empire at the turn of the 20th century who escaped the Greek/Armenian genocide and immigrated to New York as refugees in 1916. She holds a Bachelor of Science degree in Education from New York University and a Masters in Special Education from Long Island University and is retired from the New York City's public school system. Two of her published poems Whenever the Flag Catches Your Eye (2006) and When Sandcastles Washed Away (2009) were prize winners at the Chelmsford Public Library's annual Poetry Slam. 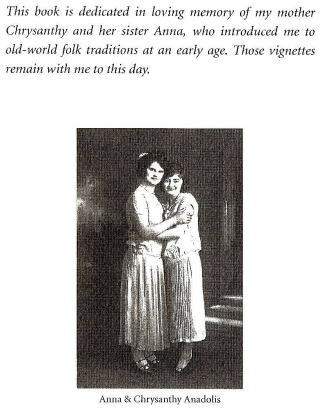 Her poems The Isles of Greece (2008) and Behold the Banner of Hellenic Pride (2009) were published in The Merrimack Journal. Several of her short stories, memoires and poems appear in Voices, an anthology published by the Chelmsford Senior Center Writers in 2010. 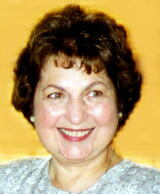 In addition to writing, Mary has worked with watercolors and chalk pastels to make portraits of her grandchildren. 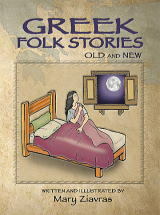 The illustrations for Greek Folk Stories Old and New were done in pen and ink to compliment the folk-like appearance of the book.